Want a quick start to Bible memorization? Our Crash Course may be just what you are looking for! We'll send one email a day for a week, and teach you exactly what you need to know to begin hiding God's Word in your heart! 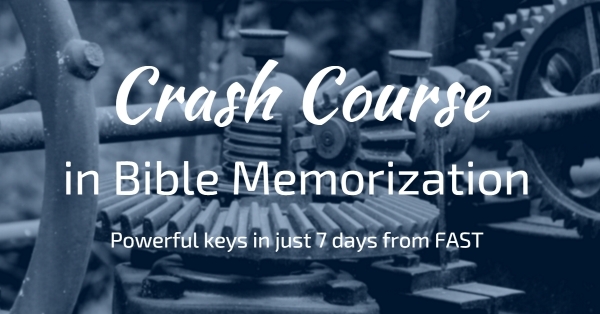 FAST has helped thousands learn the secrets of effective Scripture memorization. You could be next!